Wiki Trumpster is home in Maineville with Gail and Greg. Max who was so excited to have a friend. When Wiki was getting petted by Gail or Greg, Max would wiggle his way between them. Max was a little jealous but I am sure after a short time Max will learn their is plenty of love to be shared. 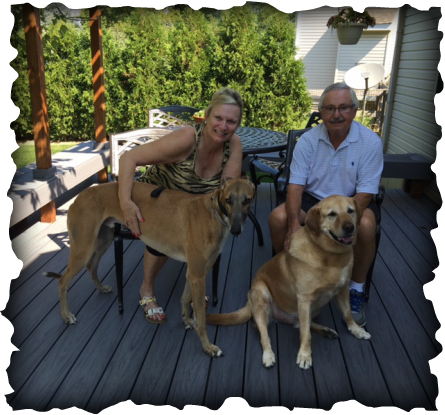 This family was so happy to open their home and hearts for this special breed. Wiki is a very lucky boy!